First time scuba experience for everyone. The DDI Try Scuba Diving program, is split into the first no-skills part at maximum 2 meters depth and the second part after all skills are completed successfully. Teaches friends and family, how to help disabled divers on land. A basic scuba diver, who can dive with diving professional. Focuses on the practical parts of scuba diving, where a diving professional can compensate. The DDI level system applies, where a disabled diver may obtain this certificate, with requirements to buddy divers. A full autonomous scuba diver, able to diver with other certified scuba divers. The DDI level system applies, where a disabled diver may obtain this certificate, with requirements to buddy divers. An autonomous scuba diver with experience in navigation and deeper diving. The DDI level system applies, where a disabled diver may obtain this certificate, with requirements to buddy divers. A non-professional scuba diver, with training in assisting disabled divers under water and on the surface. A course designed for health professionals such as physiotherapist, doctors, nurses, etc. The course focuses on how to do underwater rehabilitation, using scuba. The base level course for all diving professionals from Divemaster to Instructor Trainers. This course teaches skills, exercises, adaptations and theory used when working with both disabled and non-disabled divers. The course takes 2 to 3 days and may when possible include dives with disabled volunteers. A certified DDI Divemaster in active teaching status is qualified to: •	Act as a certified assistant to a DDI Instructor during non-professional DDI courses. •	Independently conduct the DDI Try Scuba Diving program to a maximum of 2 meters / 6 feet. •	Act as certified Pro member to dive with level 2 and 3 divers. A certified DDI Assistant Instructor in active teaching status is qualified to: •	Act as a certified assistant to a DDI Instructor during non-professional DDI courses. •	Conduct portions of a non-professional course such as Pool Diver, Scuba Diver or Open Water Diver course when appropriate and in accordance with the standards of the DDI Assistant Instructor’s primary diving training standards. •	Conduct the DDI Try Scuba Diving program. •	Conduct the DDI Surface Assistant course and issue certifications. •	Conduct the DDI Rehab Diver course and issue certifications. •	Conduct the DDI Adaptive Diver course and issue certifications. •	Act as certified Pro member to dive with level 2 and 3 divers. A certified DDI Instructor in active teaching status is qualified to: •	Conduct the DDI Try Scuba Diving program. •	Conduct the DDI Pool Diver Course and issue certifications. •	Conduct the DDI Scuba Diver course and issue certifications. •	Conduct the DDI Open Water Diver course and issue certifications. •	Conduct the DDI Advanced Open Water Diver course and issue certifications. •	Conduct the DDI Surface Assistant course and issue certifications. •	Conduct the DDI Assistant Diver course and issue certifications. •	Conduct the DDI Rehab Diver course and issue certifications. •	Conduct the DDI Adaptive Diver course and issue certifications. •	Conduct any new non-professional programs developed by the DDI. •	Act as certified Pro member to dive with level 2 and 3 divers. The DM Instructor is certified to conduct a Divemaster Pro Training course. A certified DDI DM Instructor in active teaching status is qualified to: •	Conduct the DDI Try Scuba Diving program. •	Conduct the DDI Pool Diver Course and issue certifications. 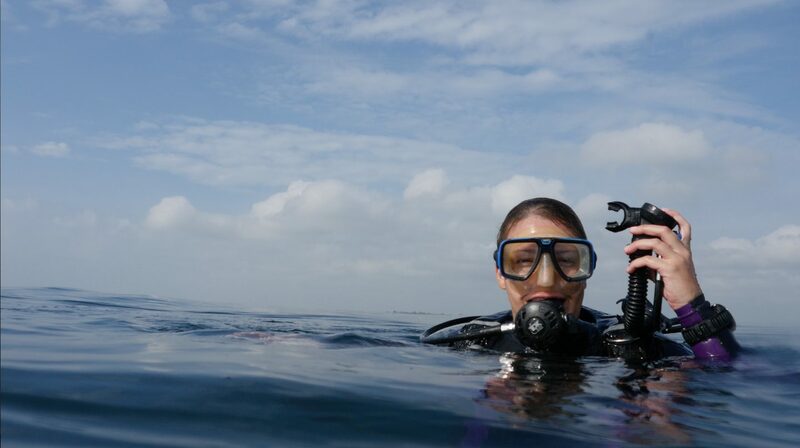 •	Conduct the DDI Scuba Diver course and issue certifications. •	Conduct the DDI Open Water Diver course and issue certifications. •	Conduct the DDI Advanced Open Water Diver course and issue certifications. •	Conduct the DDI Surface Assistant course and issue certifications. •	Conduct the DDI Assistant Diver course and issue certifications. •	Conduct the DDI Rehab Diver course and issue certifications. •	Conduct the DDI Adaptive Diver course and issue certifications. •	Conduct the DDI Divemaster course and issue certifications. •	Teach academic segments of the Pro Training course, under indirect supervision of a DDI Instructor Trainer. •	Supervise candidates during the pool and open water parts of the Pro Training course, under direct supervision of a DDI Instructor Trainer. •	Conduct any new non-professional programs developed by the DDI. •	Act as certified Pro member to dive with level 2 and 3 divers. The Instructor Trainer is certified to conduct full Pro Training for all level of students. A certified DDI Instructor Trainer in active teaching status is qualified to: •	Conduct the DDI Pro Training. •	Conduct the DDI Status Update programs. •	Conduct the DDI Professional Crossover programs. •	Conduct the DDI Try Scuba Diving program. •	Conduct the DDI Pool Diver Course and issue certifications. •	Conduct the DDI Open Water Diver course and issue certifications. •	Conduct the DDI Advanced Open Water Diver course and issue certifications. •	Conduct the DDI Surface Assistant course and issue certifications. •	Conduct the DDI Assistant Diver course and issue certifications. •	Conduct the DDI Rehab Diver course and issue certifications. •	Conduct the DDI Adaptive Diver course and issue certifications. •	Conduct the DDI Divemaster course and issue certifications. •	Conduct any new programs that are developed. •	Act as certified Pro member to dive with level 2 and 3 divers. A non-profit club or organization, that caters to disabled divers and has DDI professional staff or volunteers. A dive center or organization, that caters to disabled divers and has DDI professional staff or volunteers. A Instructor Training Center caters to all levels of DDI training, including Pro Trainings announced once a year. These dive centers usually have more DDI Professionals. This candidate has performed all DDI skill requirements, knowledge development and physical stamina requirements of the training programs standards. This candidate have demonstrated the ability to provide equal assistance to a fellow diver, should a distress situation occur and assistance be required. In order to fulfill the requirements of equal assistance to all divers in a distress situation, this requires the candidate to dive with two adult certified divers, one of whom must be trained as a DDI Assistant Diver or by a DDI recognized disabled diver program equal or higher certification level. In order to fulfill the requirements of equal assistance to all divers in a distress situation, this requires the candidate to dive with three adult certified divers, one of whom must be trained as a DDI professional diver or by a DDI recognized disabled diver program equal or higher certification level.